By setting up a Windows® computer to collect customer information, ski and snowboard equipment rental shops are able to streamline their process using the Rezo Systems application and KioWare® for Windows kiosk system software. Rezo Systems offers a web-based ski rental system wherein shop owners and managers are able to digitize the equipment rental process. Ski/snowboard rental shops can set up ski and snowboard rental packages, add products, set pricing, and include product descriptions. Customer facing information is fully customizable and includes images, the ability to control product inventory, and easily modified sections for branding and customer interaction. Add on products such as helmets and upgrades can also be configured in the Rezo Systems platform and can be used to upsell for an improved user experience and/or increased profits. Rezo Systems offers sales reporting by day and by package for simple analysis without the need for calculations or delayed data processing. The paperless workflow offered by Rezo Systems allows shops to provide customers with a number of options for placing a reservation. Customers can utilize onsite kiosks or any personal device with internet access (e.g., phone or tablet). While Rezo Systems can function independently of a kiosk and kiosk system software, the real value-add of this program is the ability to reduce staff time and paper form processing onsite. As such, kiosks stationed throughout the rental area can reduce congestion and decrease wait time. Kiosks are also well known for reducing staff time and streamling/expediting the reservation process. For kiosks to run consistently, efficiently, and without downtime while also protecting customer data, Rezo Systems uses kiosk system software provided by KioWare. KioWare allows shops to set a custom attract screen with offers, promotions, advertisements, or photos (e.g., of the resort). The software resets sessions back to the start page if someone abandons the kiosk mid-reservation, and it clears user data upon session restart - protecting data and the device from malicious behaviors. Tablets can also be set up as self-service kiosks. For a lower price point and with simple hardware enclosure options, KioWare for Android can secure the Rezo Systems Rental Reservation Program. 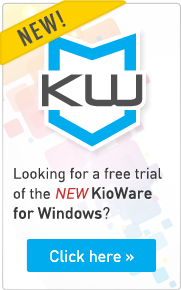 Tablets secured with KioWare for Android would run the same Rezo Systems browser-based applications as those being used for Windows-based kiosks. Adding self-service kiosks for processing rental customers in an efficient and timely fashion can improve the customer experience while increasing revenue and decreasing costs. It is necessary to have a secure solution that protects customer privacy and keeps the system up and running. From an organizational standpoint, this self-service reservation system allows for less time in the equipment rental store and more time on the slopes. Rezo Systems custom online reservation systems allow users to book more customers and manage their business. Rezo Systems have been developing reservation systems for 10 years.